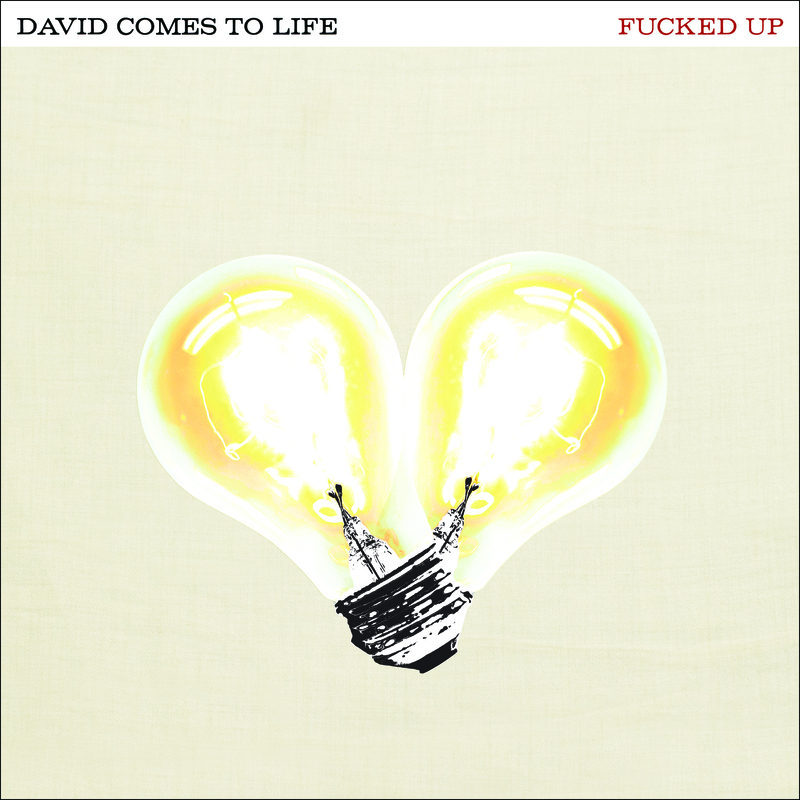 It has now been several weeks since we released the latest, greatest Fucked Up album David Comes To Life, but for some of you in Europe who bought the “Buy Early Get Now” option we know you’re still waiting for your bonus 7″s to reach you, which we’re really very sorry about. There’s different factors which have affected the delivery time of these reaching you, a later than expected shipping from the US manufacturer to our European distributor (Sandbag) meant we were a few days off missing the June 28th release date, which was followed by an internal error at Sandbag where they mistakenly shipped out one of the 7″s individually, followed by the rest of the (three) 7″s in another shipment. We’ve been told by Sandbag that all orders have now shipped (on July 13th/14th) but that before they can claim the items were lost in the post (by Royal Mail) they have to allow 7 days. This means: your records have been posted and should be on their way to you, hopefully you’ll be enjoying them right now. But, if you still haven’t received your packages by tomorrow you can get in touch with Sandbag directly ([email protected]) to pass on your details so they can make a claim with Royal Mail. Some people on the Fucked Up Facebook group are reporting that they have started to receive their records, so they are (slowly) getting out there. 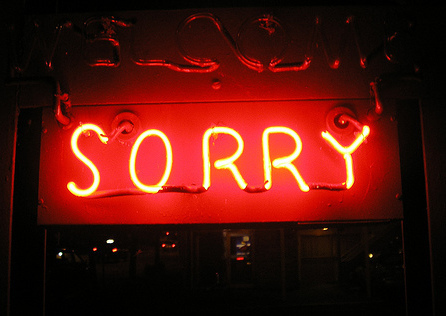 We’re very sorry for all the hassle this has caused and are looking to put it right in every way we can. ACT FOUR: A revelation from Vivian sheds more light on Veronica’s death; Octavio and Vivian explain their motives, and David is reborn. That completes the early part of this thing – BEGN fans will also be getting four 7″ singles with extra tracks from the album sessions, as well as a poster and bonus MP3s. It’s not too late to join up if you want these things – simply preorder from the Matador Store, or locate a more convenient mail order or retail location on the map at buyearlygetnow.com. ACT THREE: Another character is revealed, putting the responsibility for Veronica’s death into question. Act Four, containing tracks 13-18, comes out for BEGN participants tomorrow morning. To join, preorder from us or via another store (click the link at top to find one convenient to you) and buy the BEGN package – you get lots of extras like bonus 7″es, a poster and more. Part two of Fucked Up’s David Comes To Life is out TODAY for Buy Early Get Now customers. They’re getting the next 4 songs on the record in MP3, FLAC or stream according to their choice, along with PDFs of the lyrics from the booklet. Parts 3 and 4 come out tomorrow and Friday. It’s not too late to preorder for Buy Early Get Now – not only will you get the record in early digital form, you still get the physical format of your choice along with bonus MP3s, four unreleased 7″es, a poster and more. Go to buyearlygetnow.com to find a convenient mail order source (including the Matador Store), or a brick-and-mortar retailer near you, to place your preorder. Fucked Up BUY EARLY GET NOW Part One Stream Begins Today! To those participating in BUY EARLY GET NOW, today marks the part 1 stream & download from Fucked Up’s June 7 LP, David Comes To Life. Parts 2 through 4 of the album are to follow this Wednesday, Thursday and Friday. If you’ve not signed up for BEGN, it’s not too late! You can order now via mail order from the Matador Store, order in person or mail order from any participating retailer on this map. Or if you are in the UK or Europe, order from our UK store. All BEGN details can be found in this previous post. 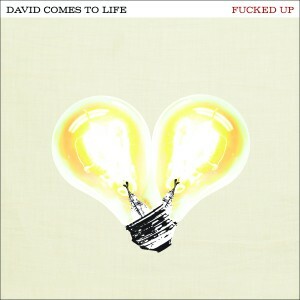 Listen to David Comes To Life cuts “The Other Shoe”, “A Little Death“, “Ship of Fools” and “Queen of Hearts” here. Sometimes, as much as you try to get things ‘right’ they always come out ‘nearly there’. Yesterday we opened orders for BEGN for the upcoming Fucked Up release of ‘David Comes To Life’ and some European customers may have experienced issues with their digital downloads. If you are a UK or EU customer, you may have experienced problems redeeming your voucher code, thus unable to download the MP3 delights promised to you. If this was you, we sincerely apologise. All gremlins have now been removed from the system and regular service has resumed. Please do not try to pay again, we’ll only keep your money. Instead, head back to www.buyearlygetnow.com, log in, re-input your code that you received from Sandbag yesterday and you should be on your way to aural pleasure. Please note: in the “retailer” field, enter ‘Sandbag’ (not Sandman). Any other problems, please comment below and we’ll help you out, or refer to the help page on Sandbag. As announced last week, our ninth Buy Early Get Now promotion goes live today, for the new Fucked Up album, David Comes To Life. You can preorder NOW via mail order from the Matador Store, preorder in person or mail order from any participating retailer on this map, or if you are in the UK or Europe, from our UK store. Digital single #4 and last, “Queen of Hearts,” will come out on May 3. Remember back when we told you that Fucked Up had a new album on the horizon? Well that time is racing towards us faster than you can say “Byrdesdale Spa FC.” However we’ve still got a little ways to go before the June 7 street date. But alas! We’ve found a way to not only get you the whole album early but for you to score a bunch of exclusive content. We’re talking bonus 7″es, non-album tracks, posters. The time has come for us to welcome back our dear old (and newly trademarked) friend Buy Early Get Now. – Instant download of 5 non-album songs plus the pre-album digital singles as MP3s on April 26. – A full 192k album stream and hi-quality album download in 4 parts over 4 days from May 10-13. – The CD or 2xLP and exclusive poster mailed to your house via Matastore or available to pick up on June 7. – Download of Record Store Day Exclusive David’s Town comp on June 7. 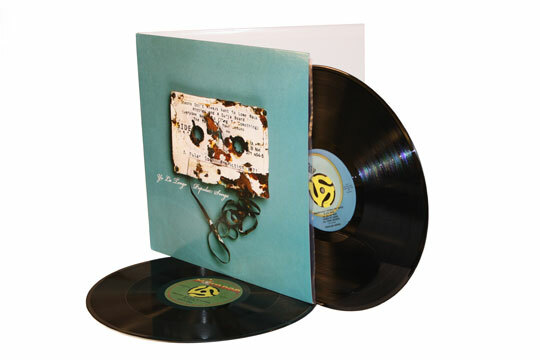 – 4 bonus 7″es of 7 extra non-album songs available to pick up on June 28. And, as always, if you don’t live anywhere near a participating retailer, you can always pre-order David Comes To Life directly from the Matador Store. For more info on Buy Early Get Now click HERE or email [email protected] for more details. Check out all the other goings on at Looking For Gold and davidcomestolife.com. *Any UK/EU shoppers can mail order HERE. Right from the start, Toronto’s Fucked Up have been pushing musical and conceptual boundaries. 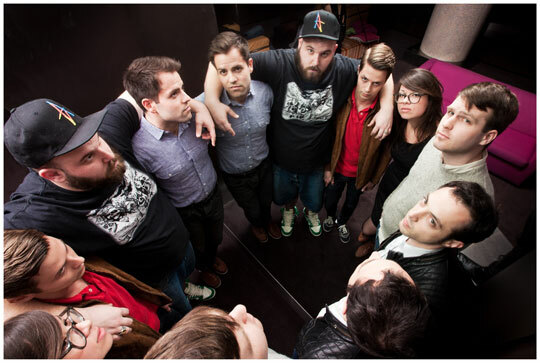 Their third album, the 18-song, 78-minute David Comes To Life is a rock opera, an album set to a play. Though no less monumental, it is far more melodic than their breakthrough The Chemistry of Common Life. There are more female vocals, which work in perfect contrast to Damian Abraham’s highly effective wounded bull growl. The band sound tighter, with more space for the flourishes and imaginative songwriting that entwine their love of fey British indie pop with heavy riffing, and some genuinely twisted turns. Perhaps most grippingly, the triple-guitar interplay between Mike Haliechuk, Josh Zucker and Ben Cook has risen to symphonic levels. They channel musicians from Angus Young, Pete Townshend and Noel Gallagher to Bob Stinson and Lyle Preslar with ease and grace. As for the story – more on that to come. The band will also tour Europe and the UK around release, a full list of dates are below. The album artwork is built around sculptures by Dario Robleto. On the front, At War With the Entropy of Nature / Ghosts Don’t Always Want to Come Back (2002) depicts a cassette made out of carved bone and bone dust from every bone in the body, trinitite (glass produced during the first atomic test explotion, from the Trinity test site in 1945, when heat from the blast melted surrounding sand), metal screws, rusty and typeset. Two other works appear on the interior gatefold and the back cover. The album comes with an MP3 download coupon for all 12 songs – 74 minutes of music. If you preorder the album as part of Buy Early Get Now, you’ll get an additional vinyl LP of gorgeous, wonderful instrumental score composed and performed by Yo La Tengo for the motion picture Adventureland. This LP is exclusive to this promotion and has not been released in any form before. You’ll also get two bonus MP3s, a free poster, and other surprise extras. Buy Early Get Now #8 has officially launched in the UK. It offers the same tasty treats of an instant stream of the entire album, the Adventureland score on LP, bonus MP3s, a poster and your choice of Popular Songs on LP or CD. For any of you Brits looking to save a little on shipping, just go to the special BEGN-UK page and order it now. This just in… Buy Early Get Now bonus vinyl LP! 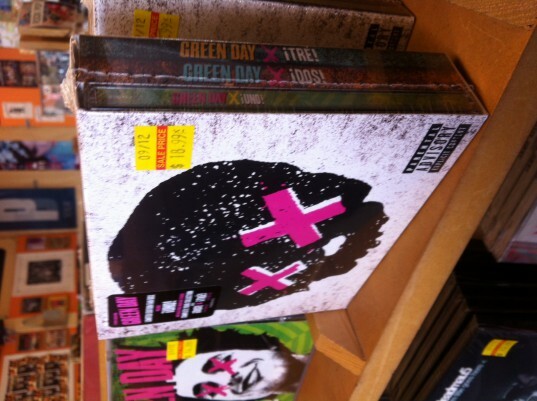 So we just got the bonus LPs in and guess what… they’re awesome!! 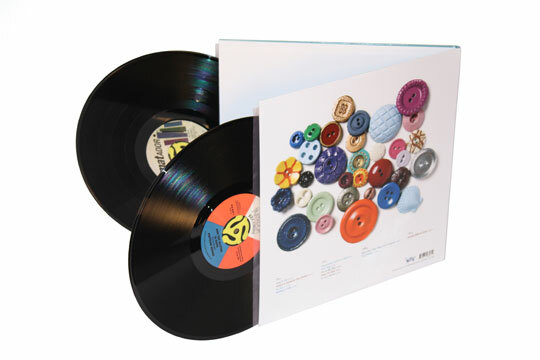 That means in addition to the ‘Popular Songs’ CD or double LP, early stream of the album, two bonus MP3s and exclusive poster you get an entire vinyl LP of never-before-released instrumental tracks by Yo La Tengo… that is, of course, if you’re a Buy Early Get Now customer. You can sign up for Buy Early Get Now here or find your local participating retailer here. As promised, another week another Yo La Tengo video clip from their upcoming album Popular Songs. This week director John McSwain makes sure you’re getting your daily allowance of fruits – a key food group and an unlikely comedic/visual tool – as he gives us his take on YLT’s new song Periodically Double or Triple. 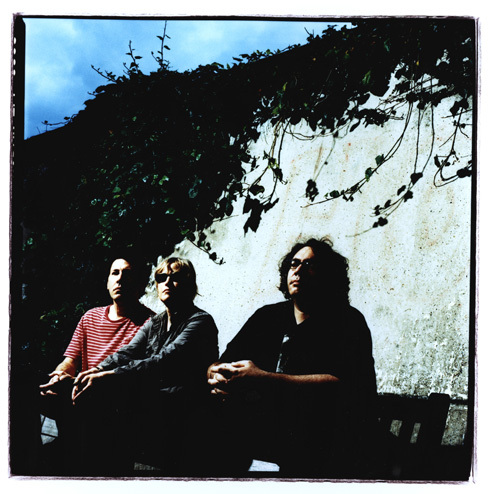 Also don’t forget that Yo La Tengo’s new album is out on Sept 8th. Click here to pre-order Popular Songs or visit Buy Early Get Now for the unstoppable deluxe package. 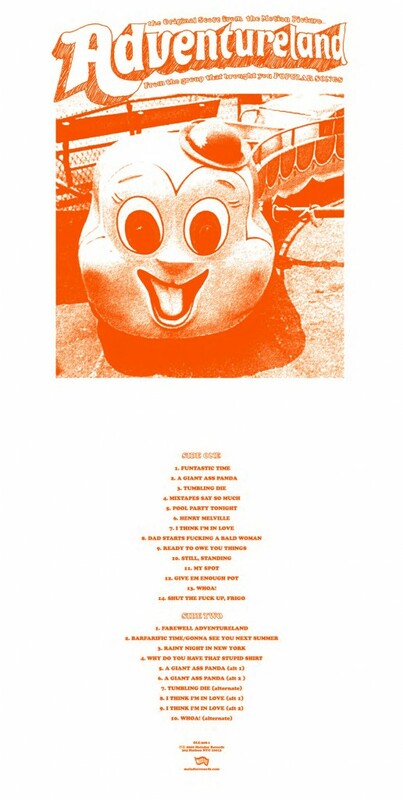 As mentioned on the Matablog last June 4, The new Yo La Tengo CD/2XLP/digital album ‘Popular Songs” (OLE 856-1,2) is hitting record shops & e-tailers on September 8. However, as we’ve hinted previously, you can start listening to ‘Popular Songs’ on August 4 via Matador’s award-winning Buy Early Get Now scheme. – one of the above configurations, available for collection at a trusted physical retailer on September 8. – the full album stream starting August 4, with exclusive bonus MP3s to follow. – a poster (design TBD, but trust us, you’ll be pleased). Of course, you can also pre-order ‘Popular Songs’ directly from The Matador Store. We’re also happy to announce the following North American tour dates, with several additional shows still to be confirmed later this week. Support for this jaunt is still being confirmed, however we can tell you The Black Lips are on the September 25 bill at New York City’s Roseland Ballroom. Shows marked * are on sale today. The second of three bonus Sonic Youth MP3s has been posted on the Buy Early Get Now site, and it’s pretty fascinating – the 6-minute demo version of “(I Got A) Catholic Block” from 1987. Go log in and grab it. We thought we’d run out of Sonic Youth bonus LPs for our Buy Early Get Now campaign, but we discovered we had 200 extra! ACT NOW to make sure you get this fantastic live LP of their July 4, 2008 concert at Battery Park in New York. If you have purchased The Eternal early through either a fine indie retailer, one of our online outlets or directly from the Matador store, we MUST implore you to please log in and register your purchase on www.buyearlygetnow.com. We realize that some of you only picked up the record early to score the ever-so-awesome Live LP (ever. so. awesome.) and are not bothering to log in and get your bonus mp3s and early stream of The Eternal. But the reality is, we don’t want to run out of these limited Live LPs and the best way to ensure we don’t is for you to register on the site so that we can keep a real-time log of the amount of LPs we need. It only takes a minute and we will never use your registration information to market anything to you. And to those of your who have already logged in, there is no need to log in again.